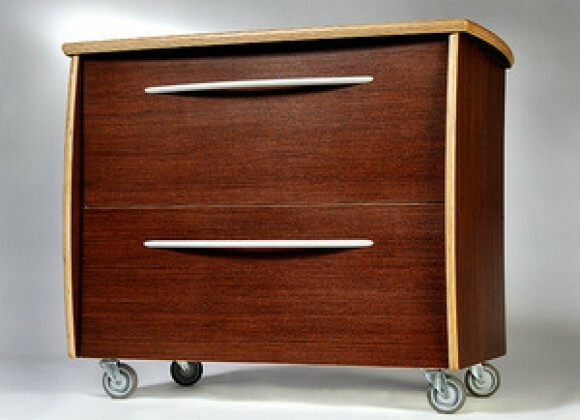 Available in 6 veneer choices to match Knifty desks and other furniture pieces. Full-extension drawer slides offer smooth operation and easy access to files. Rolls easily when necessary. Available in 6 veneer choices.